Tyler and Dion are Â© to me. Steal them and DIE!!!! LoL That's sooo funny. 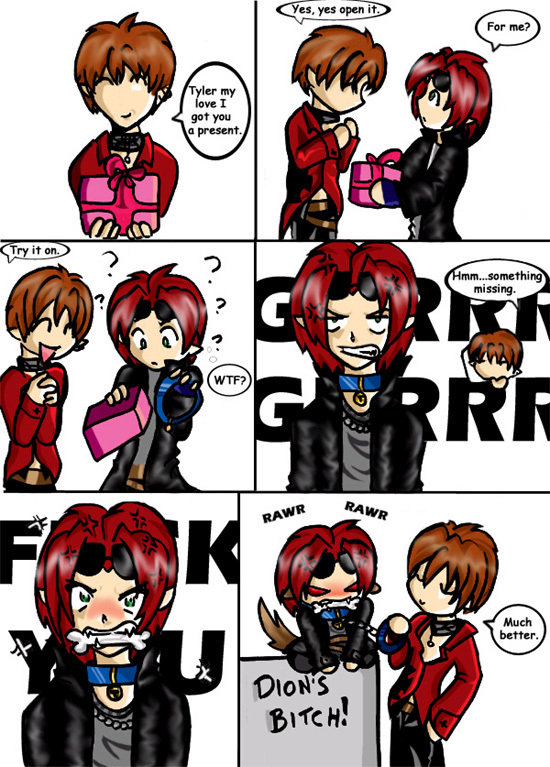 Raine wishes Raine gets gifts like that! Hahaha! Weeeeee!